Some children have been making good progress with multiplication, others have been doing their best in all tasks. No matter the reason, well done for your efforts! 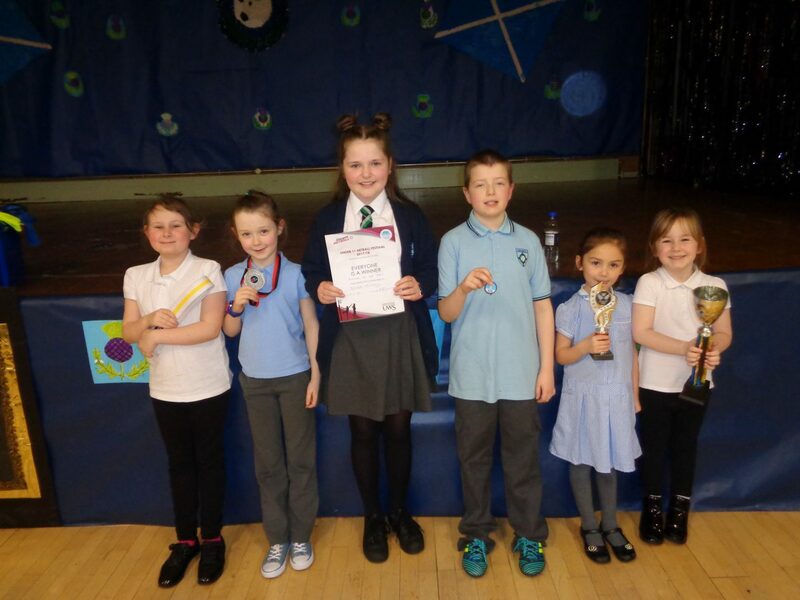 More personal achievements, keep enjoying your activities out of school too! These sisters have a lot to celebrate tonight. One for getting the Head Teacher Award for working very hard and always being enthusiastic and friendly and the other for getting the Principal Teacher Award for always having a positive attitude to everything she does. Very well deserved by both of the girls! Well done to Primary 6 for entertaining us all with your brilliant WW2 Assembly. We were so impressed with your wonderful singing voices too. 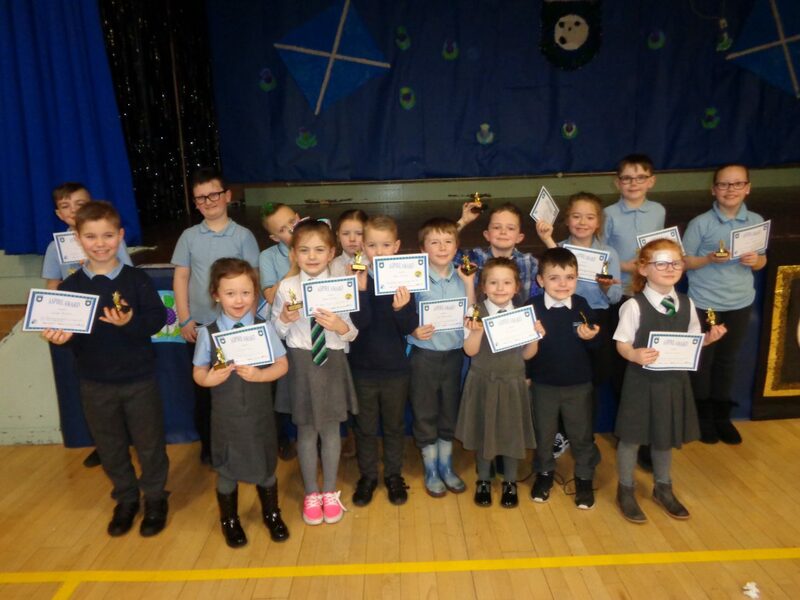 Congratulations to our Award winners too, they were as proud as punch when they heard their names, keep setting a great example! And to our personal achievements… Joshua you keep making an appearance here, your commitment to your Tae Kwan Do is great! Mrs Stocks and Miss Crawford were so impressed with these two that they were the worthy winners of this week’s Head Teacher and Principal Teacher Awards, it is great to see all your efforts being rewarded!